This week’s gospel takes off where last week’s ended. If last week’s passage had a certain emphasis on corporal works of mercy; this week’s text focuses on one of the spiritual works of mercy, admonishing the sinner. Between the corporal works and the spiritual works of mercy, the latter would prove to be the harder because as today’s gospel demonstrates, it would be the less popular. The conclusion to last week’s passage was favourable because he spoke with authority and his message was pleasing to the ears. However, when he began to challenge their set ways and manner of thinking in this week’s text, he earned their displeasure. When Jesus made the comment that no prophet is ever accepted in his own country he was clearly identifying himself with the long line of prophets who suffered a similar fate. He was not in the popularity game. He had not come to preach a gospel of nice but the liberating truth of the Kingdom of God regardless of how well it would be received. What happened that day in Nazareth was to be repeated over and over again during his ministry, with the crucifixion as the inevitable final outcome. This mission of Christ points to our mission which we received at baptism, to witness to the values which he represents. It will certainly be a work that does not promise popularity or easy success. The task will always be difficult because people are often too comfortable in their sin and they resent interference. Many people confuse being prophetic with being a rebel or a critic. But the premise of prophetic ministry is not just being a ‘rebel’ for the sake of rebellion, neither is it to be merely a critic for critique sake. We live in a world of social critics who hide behind the anonymity of social media, which is far from being prophetic. We must remember that the goal is not to tell others how terrible they are, or heap insults upon the other. Neither is the goal to win an argument or to feel superior. Rather, the goal is to win the sinner back from a destructive path, to announce the forgiveness of sins available to all who repent. The premise of prophetic ministry is always about the exposure of sin. It is always a work of mercy. The goal is salvation. As such, to admonish sinners is to call lovingly to those in danger and draw them back from the edge of the abyss. Being prophetic is speaking the Truth in love. Never merely stating an opinion, no matter how convinced we are of its veracity, and never letting vent our anger and frustration in revenge. It is essentially a work of grace and love. To admonish others effectively, there are two other points we must keep in mind. First, we must practice what we preach. In other words, we have to be working at striving for holiness and avoiding sin in our own lives if we expect others to do the same. The argument, “Do what I say and not what I do,” will never work. The second point is to avoid the terrible attitude of self righteousness with its judgmental view of others. In order to avoid descending into a blind self-righteousness that only sees faults in others but never with ourselves, the task of admonishing or correcting the sinner must begin with ourselves. To carry out this work of admonishing the sinner, a person must have a sense of compassion for human weakness, and we can only learn that by recognising our own weaknesses. If we fail to do so, we will be casting stones at others, and it is never advisable to throw stones when you live in a glass house. Jesus demonstrates the true reason behind this spiritual work of mercy. 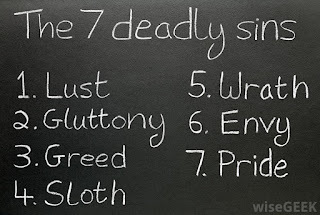 The basic reason that we admonish sinners is because their salvation may well be in jeopardy. As mentioned already, their salvation is the greatest good and need in their lives. If a person were drowning, and we were standing near a life preserver, and we did nothing to throw that life preserver out to that person so that person could be saved, this would be a terrible act of lack of love. It is even worse if souls are in jeopardy of their eternal loss from God, and we say nothing to make them realise the moral danger they are in. So even greater than all our bodily needs is the spiritual need to be set free from sin and receive the life of God. This is why admonishing the sinner is so important. Nothing should take precedence over the work of the salvation of souls. We can never remain indifferent to their predicament. Despite its great importance, this is a difficult and dangerous work of mercy because people do not like to be reminded of their sins and faults. None of us likes to be corrected. 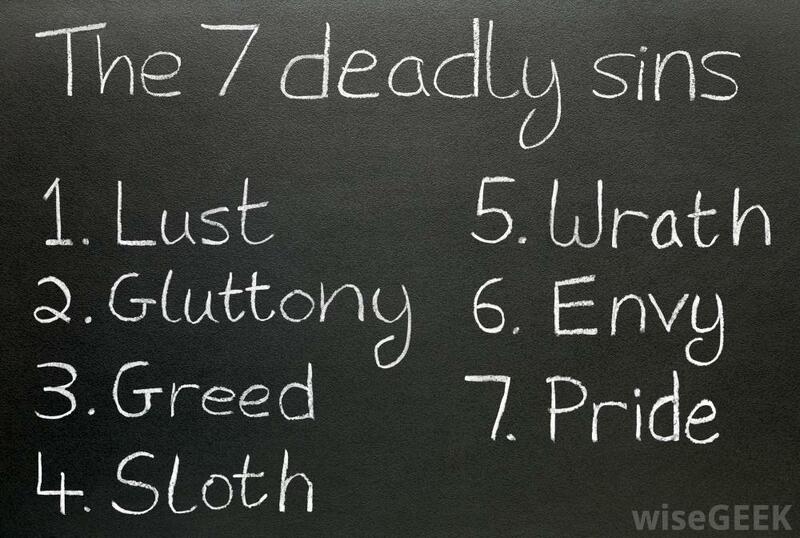 This is even more so today if people have entered into denial of sin in their lives. The great American TV evangeliser, Archbishop Sheen would say that 150 years ago, when the Catholic Church declared the Immaculate Conception of the Blessed Virgin Mary, there were people who were up in arms that the Church would dare say that there was even one person without sin! Now, he said, everybody would be up in arms if you claim they had sin! What does it mean to admonish the sinner? First of all, it means calling someone to conversion. Jesus Himself did this from the very outset of His public ministry when. Another way to admonish is to inform or remind someone by way of a warning of the moral danger they are in. In this manner, admonishing the sinner is connected to another spiritual work of mercy, instructing the ignorant. Another expression of this admonishing is by fraternal correction. This is considered an expression of charity. Out of love and concern for a brother or sister in Christ, one brings to their attention faults or shortcomings that may be harming the individual or affecting others negatively, such as in a family or community. True friends would want to do this for one another. A caution here is to avoid pettiness in matters that one corrects. We have to learn to put up with the annoying behaviour of others. Many shortcomings which do not affect others negatively should be borne patiently. But such tolerance should never be extended to sin. A final form of admonishing sinners is to encourage or even urge them on to greater efforts or to persevere in their struggle to break from a life of sin. In this Jubilee Year of Mercy, let us return to the true mercy of Christ who wishes to set us free from our sinfulness. In a recent book, a series of conversations with the Vatican journalist Andrea Tornielli, Our Holy Father, Pope Francis, identifies himself as “a sinner in need of God’s mercy,” and explains his motivation for calling the Jubilee Year of Mercy. “The Church condemns sin, because it has to tell the truth: this is a sin,” he says. “But at the same time, it embraces the sinner who acknowledges what he is.” The mercy of God can never be separated from the condemnation of sin. Rather, it is in teaching properly the gravity of sin that the Church has always opened hearts to the true mercy of God. May our daily prayer to the Lord be that He grants us the courage and humility to admonish sinners and the grace to do it in love. Let us never forget to ask the Lord for the courage and humility to accept correction ourselves, and to grant us the grace to see it as an act of love, even if it is not always artfully done.